It's Halloween in the USA, and we're celebrating by giving you a free Halloween virtual golf ball when you log in and play WGT Golf -- today only. Get your free WGT Halloween Vapor Ball, featuring a spooky purple vapor trail, plus scary distance and spin. These also make great gifts, so go ahead and "treat" your WGT Golf friends to a cool virtual gift! 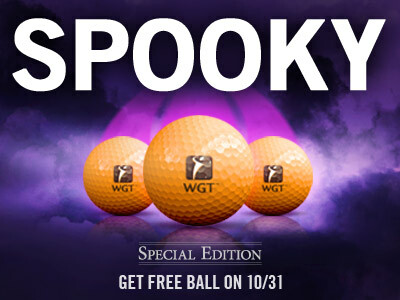 *Special offer available to WGT Golf players that log in on 10/31, receive one free WGT Halloween Vapor Ball (L0+). 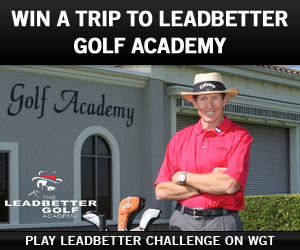 Don't miss your last chance to win a trip to The Leadbetter Golf Academy in Florida, by playing in the free Leadbetter Challenge tournament on WGT. The top leaderboard score and one lucky sweepstakes winner will each get a grand prize trip for two, to learn like the pros. We're also giving away Callaway and Odyssey virtual clubs to another 20 lucky sweepstakes winners, so post your score today! 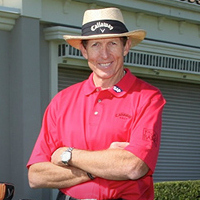 David Leadbetter is the new virtual golf instructor on WGT. 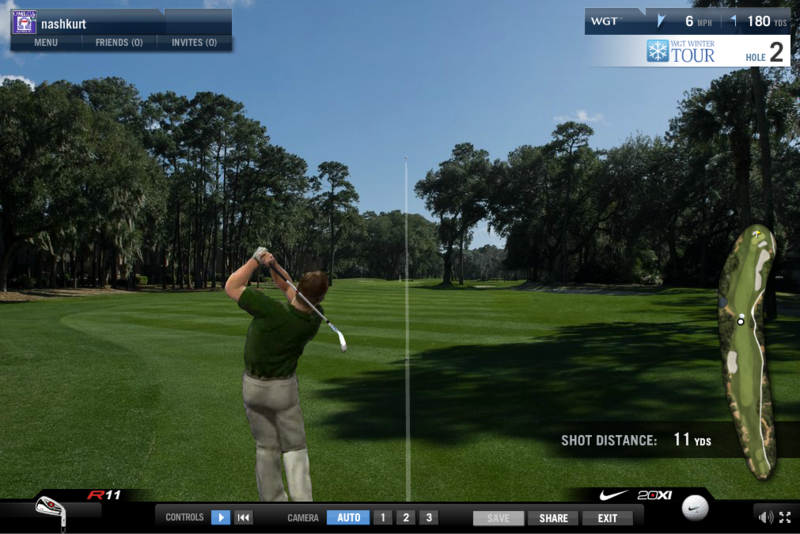 Read his latest tip on Virtual Putting, exclusively for WGT players. *The Leadbetter Challenge tournament runs thru 10/31/13, is free to enter and open to WGT players in all countries. Play this special free tournament with the new 3-Click Swing Meter for an added challenge. In this new tournament format, players are required to equip the new 3-Click Swing Meter to participate. Compete against WGT players in your same WGT tier in 18 stroke play holes on the sunny Cabo del Sol course. *Players must equip 3-Click swing meter to play. Runs now thru 11/30/13 and is open to WGT players in all countries. Thousands of WGT players are advancing to Round 3 of the WGT Winter Tour, played on the challenging desert course Wolf Creek from 10/25 to 10/31. The top 70 combined scores in each tier split a purse of double WGT Credits. 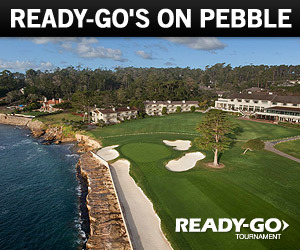 The difficult course layouts of the 2013 Winter Tour proved to be no challenge for Saurabh08, a Tour Legend, who has posted two impressive closest-to-the-hole scores of 55 at Pebble Beach and 37 at Harbour Town. Saurabh08, a WGT member since May 2012, is currently leading the Tour Legends tier in the WGT Winter Tour for October. Nashkurt of Singapore, currently 9th in the Tour Legends tier holed out from 180 yds on Hole 2 at Harbour Town during Round 2 of the WGT Winter Tour. Watch replay here. Make sure to check back weekly for WGT Winter Tour recaps, news and updates! 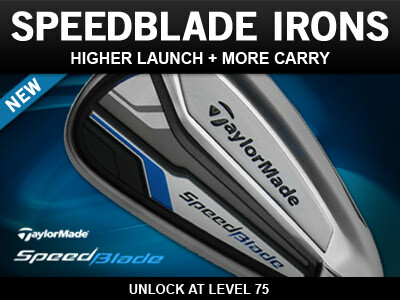 Get the newest irons from TaylorMade available now for top WGT players. The new SpeedBlade irons have a low center of gravity that gives you a higher launch angle with more carry and less roll, helping with your approach shots. New iron set unlocks at Level 75, available in the WGT Pro Shop now. WGT Golf Mobile, TaylorMade SpeedBlades...Spooky! Check out the new WGT Golf Mobile on iPad 2 or later, plus new TaylorMade Speed Blade irons, new tournament options, and a fun Halloween ball with some scary performance! WGT Golf Mobile is currently a Top 10 ranked sports game for the iPad in the US and many other countries! 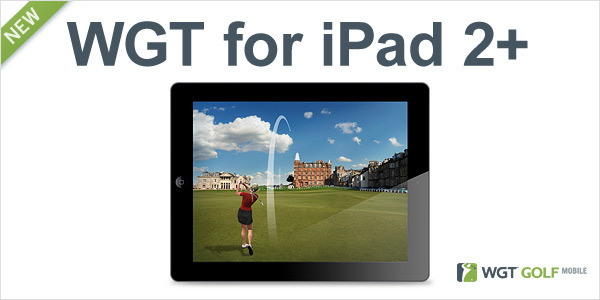 You can download and play WGT Golf Mobile free for the Apple iPad 2 or later, with a high-speed Internet or WiFi connection. Experience the upgraded performance and graphic experience. Log in with your existing WGT account and use your virtual equipment to play full stroke play, closest-to-the-hole and tournaments across six WGT courses. Continue the same games and tournaments on either the Web or Mobile. Note, this first version of the game does not include multi-player games, country club tournaments, avatars or all the WGT golf courses yet -- but we'll be adding those as updates in the coming months -- as well as support for iPhone and Android mobile devices soon. Get the new high-level SpeedBlade Iron Set from TaylorMade to add higher launch, more carry and less roll to your approach shots. High performance ratings for distance, precision and spin make these new irons a great choice for players competing at top levels in the game. Unlock at Level 75. We're introducing a new WGT tournament option that requires players to use specific virtual clubs, balls or swing meters to enter a tournament. The idea comes from players in the special WGT Forum tournaments hosted by WGTdbloshoe, that require using WGT Starter Cubs and Balls for an added level of difficulty. Player feedback was so positive that we've decided to start hosting more of these tournaments, and we thought top players would enjoy competing with the challenge of the 3-Click Swing Meter in a free stroke play tiered tournament on sunny Cabo del Sol. 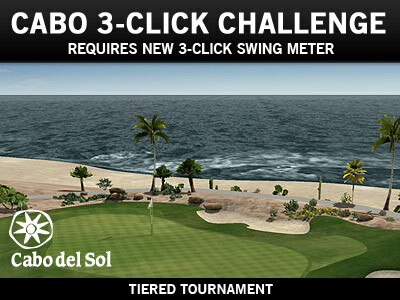 Play the free Cabo 3-Click Challenge now and remember you must equip the free 3-Click Swing Meter. Good luck and let us know your ideas for other Required Item tournaments you want to play next. Every Fall we see a lot more players competing in Ready-Go tournaments on WGT...it must be a carry-over from all the sports wagering and fantasy leagues for football and soccer season. We're getting into the fall holiday spirit with special limited-edition Halloween virtual golf balls, featuring a fun purple vapor trail. Watch out though, these virtual balls actually have some scary distance and spin, so stock up while you can! We'll also be running a special promo on Halloween in the USA, so mark your calendars to play WGT on 10/31. Putting is hands down the most important component of a well-rounded golf game, and is as much a mental act as a physical one. Prior to hitting a putt, top players collect as much information as they can about the entire green, and more specifically, the area between the ball and the hole. Your eyes are an essential tool in determining how a ball will react on the putting surface. Real world golfers have trained their eyes to recognize how a green slopes by observing what is in front of them, and are able to recognize the changes in elevation, the subtle slopes and ultimately the ideal line to the hole. While playing a real round or a virtual round on WGT, train your eyes to constantly pay attention to these slopes. In virtual golf, WGT makes gathering this information easier, by displaying the exact distance and elevation, and placing a virtual grid on the green that shows changes in slope, elevation and speed. As you're looking at the grid, remember that blue is uphill, red is downhill and black is flat. Likewise, the speed of the dots on the grid helps to show the amount of break. How a putt breaks is directly correlated to how much power is used. When choosing a line to putt along, make sure to factor in how hard or soft you intend to hit the ball. I've found that like in real golf, less experienced players seem to play too little break or hit a putt firm enough, leading to a miss "below" the hole. Better players tend to play more break and hit their putts firmer, giving themselves a better chance of making the putt. 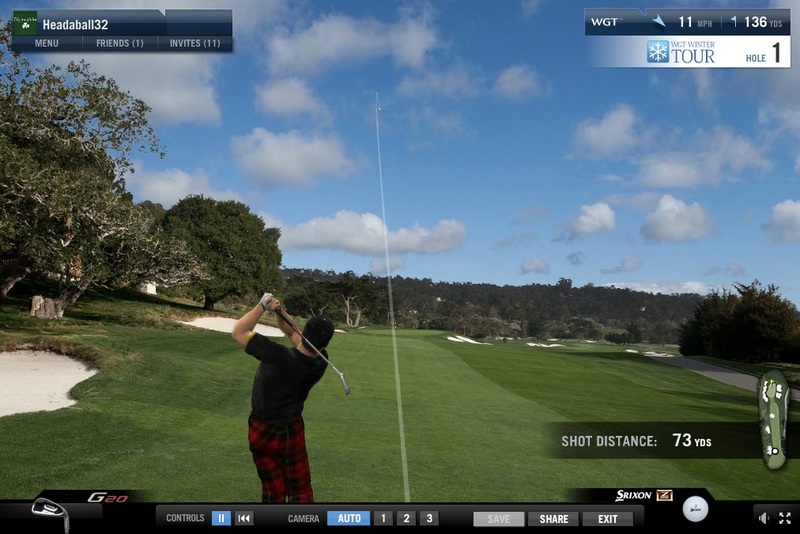 However, putting in virtual golf is clearly just as challenging as real golf, as there are many factors to consider, and you must get them all right to get the ball in the hole. Practice is essential in improving both real and virtual putting. Try playing WGT's Best Of Putting course for 9 challenging long putts on different courses. One of my other favorite discoveries on WGT is the Reverse View, where you switch the putting view to behind the hole looking back at yourself putting. Changing the view will increase the likelihood of an accurate read and makes it easier to see the break, especially on downhill putts. That's another feature on my wish list for real-world golf! So, the next time you're playing a virtual game on WGT or a real-world round, give yourself the best chance for success by taking in as much information as you can about each green. Make a mental note when you notice a tricky green or want to remember how a particular putt breaks. These notes will increase your chances of making a similar putt the next time you play. 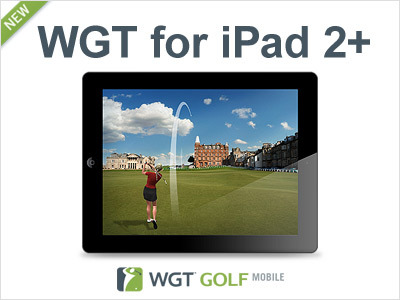 We're excited to launch the first version of WGT for iPad, and are inviting WGT players with iPad 2 and higher to be the first to try it out...free for a limited time only. WGT Golf Mobile is the World Golf Tour experience with stroke play and closest-to-the hole games and tournaments. You can log in with your existing WGT account and use your virtual equipment to play games on either the Web or your iPad. Note, this first version of the game does not include multi-player games, country club tournaments, or all the WGT golf courses yet, but we'll be adding those features as updates in the coming months, as well as support for iPhone and Android mobile devices. ...remember, get it soon while it's still free! Congratulations to all the players who have made the cut in the WGT Winter Tour, and have advanced to the two single-play Championship Rounds. WGT player Headaball32 of Ireland, currently in 5th place in the Legend tier, had a spectacular hole-out in Round 1 on the first hole at Pebble Beach. Watch replay here. Round 2 of the WGT Winter Tour will be played on Harbour Town, and players must post their score by 10/24. Harbour Town is home to the RBC Heritage PGA Tour event, and the course is a true test of golfing ability, featuring challenging winds that blow off the Calibogue Sound. Round 3 will then be played on Wolf Creek from 10/25 to 10/31. Wolf Creek is a challenging desert course in Mesquite near Las Vegas. The Top 70 combined scores, across all three rounds, will split the purse of double WGT Credits. Make sure to check back for weekly Winter Tour recaps and news, and stay tuned for future WGT Winter Tour updates. 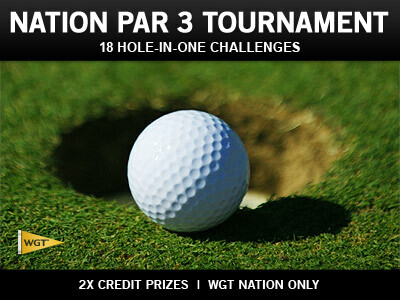 WGT Nation members, play Best of Par 3 Tournament in October for your chance to earn double WGT Credits. Compete against other WGT Nation members in your same tier in this free unlimited stroke play tournament on the Best of Par 3 course. Features favorite par-3 stroke play holes from your favorite courses, plus 18 chances for Hole-In-One Challenges to win more credits! WGT NATION is a free program for top WGT players. Learn more and see if you're eligible at http://www.wgt.com/nation. *Special tournament is free to enter and runs thru 10/31/13, for WGT NATION enrolled players only.